Marketing materials created for Masa Israel, a nonprofit organization that provides coordination between 18-30 year olds and various enrichment programs located in Israel. I consulted on a collection of design materials for Masa, including the posters, postcards, and program segment brochures and one-pagers seen above. I created all materials to give a youthful appeal to their marketing materials using existing brand assets. 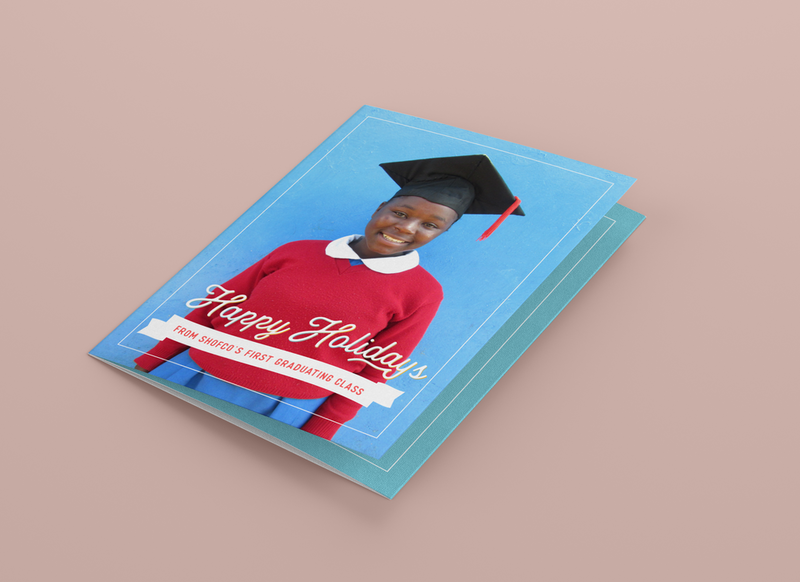 2017 Holiday campaign for Shining Hope for Communities (SHOFCO), a international nonprofit that focuses on education for girls, healthcare, WASH, and community empowerment programs in the slums of Nairobi, Kenya. This mailer and remittance / remit / donation envelope was sent as a year-end donation push to all donors. 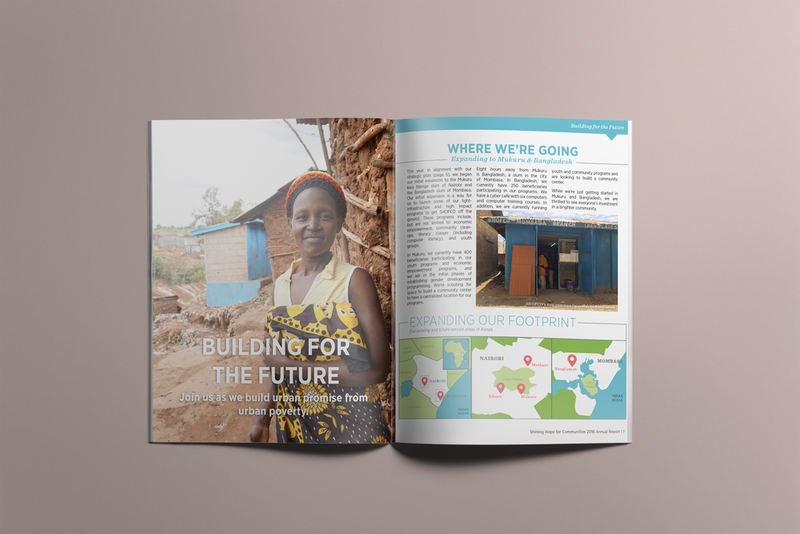 The project capped off a record $7 million donation year for the organization, and focused on celebrating SHOFCO's first graduating class of eighth grade girls in the Kibera slum of Nairobi. 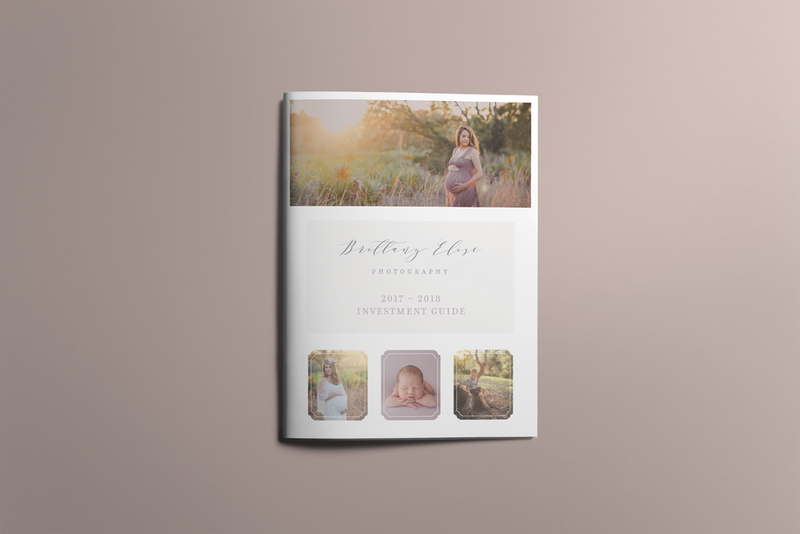 I've worked with Brittany of Brittany Elise Photography, a family and newborn photographer based in Tampa, Florida, on her pricing guide and other marketing materials. Brittany had the initial template of this design completed by another graphic designer, but I reconfigured much of the design on the inside pages. A pricing guide for wedding photographer Meghan Leigh Photography, located in New Jersey. Meghan has a whimsical, funky style that is still feminine and delicate, and she wanted that reflected in her pricing guide. I took her existing logo and brand colors to establish new brand typefaces and graphics in the form of watercolor swashes. 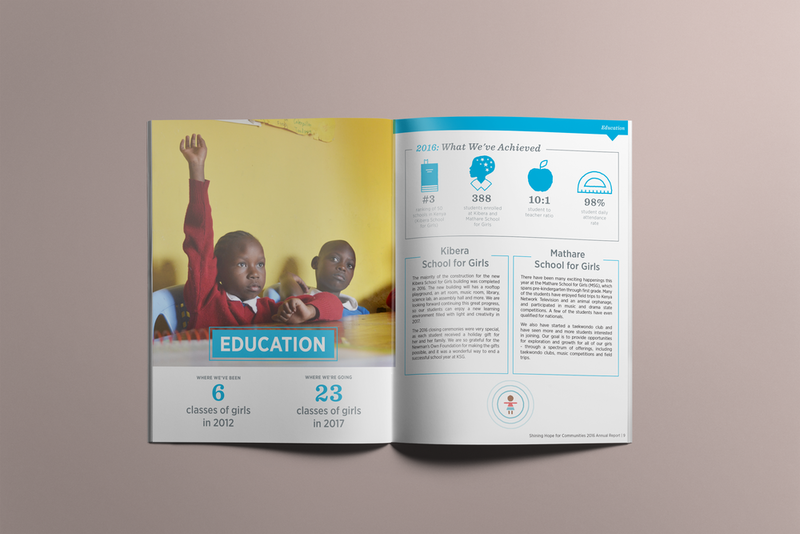 2016 Annual Report for Shining Hope for Communities (SHOFCO), a international nonprofit that focuses on education for girls, healthcare, WASH, and community empowerment programs in the slums of Nairobi, Kenya. 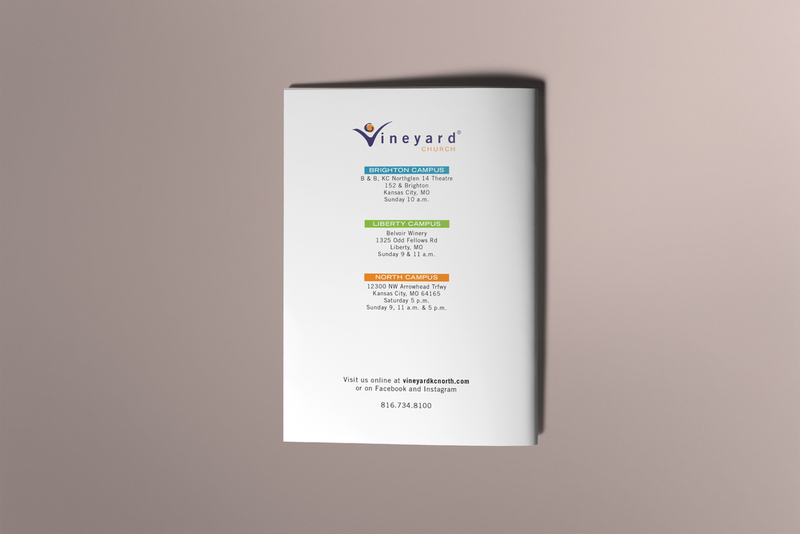 This short program guide was created for Vineyard Church, located in Kansas City, Missouri. 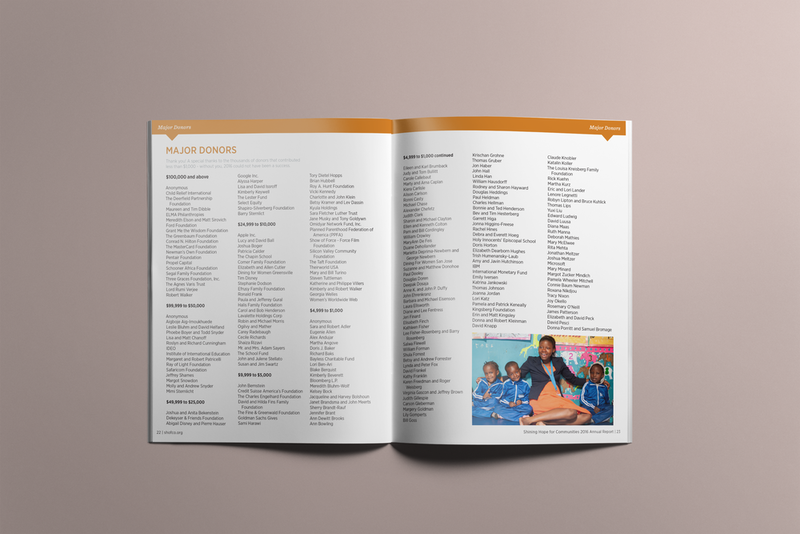 This guide is distributed to church members to learn more about program offerings outside of the scheduled church services. 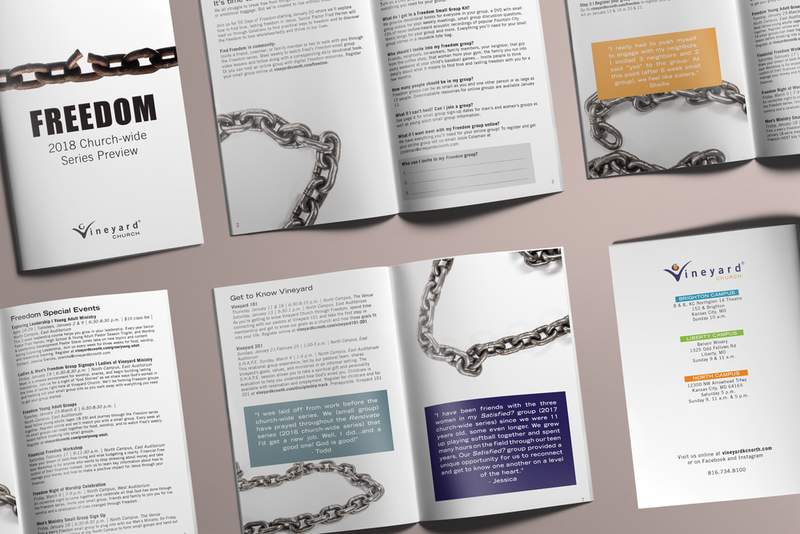 Given the theme "freedom" and chain imagery, I created a clean, readable layout with pops of color and testimonial quotes.